The Fratellis performing at The Fillmore, in San Fransisco CA. April 30, 2018. Photo Heather Uroff. 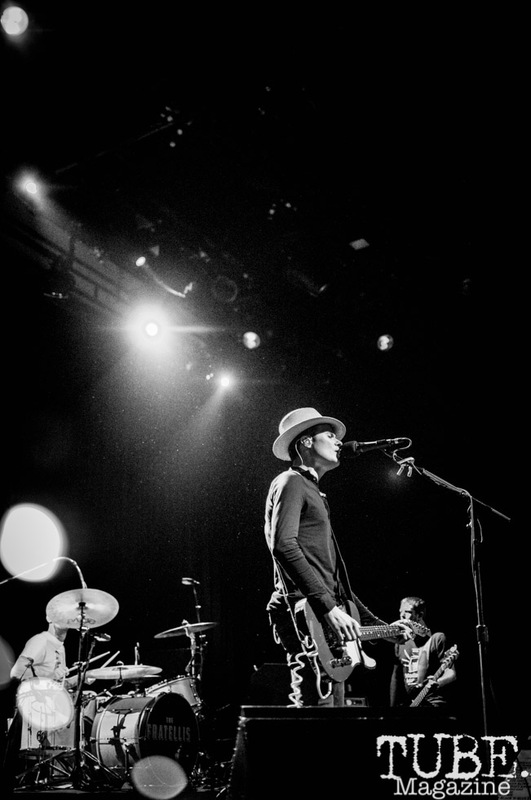 On April 30th The Fratellis performed to a packed house at The Fillmore in San Fransisco. The show sold out within weeks of tickets being announced. TUBE. caught up with some members of the crowd to see what they thought of the performance. Matthew Cox at The Fratellis at the Fillmore in San Fransisco Ca. April 30, 2018. Photo Heather Uroff. Makayla Rogers (left), Cain Beeton, and Jailean O’Neal at The Fratellis at The Fillmore in San Fransisco Ca. April 30, 2018. Photo Heather Uroff. The crowd dancing to The Fratellis at The Fillmore, in San Fransisco CA. April 30, 2018. Photo Heather Uroff. Megan Curry and Matthew Cox at The Fratellis at The Fillmore in San Fransisco Ca. April 30, 2018. Photo Heather Uroff. Bowd poses for a photograph at The Fratellis at The Fillmore in San Fransisco Ca. April 30, 2018. Photo Heather Uroff. Tags: Bowd, Cain Beeton, Heather Uroff, Jailean O'Neal, live show, Matthew Cox, Megan Curry, San Francisco, show, The Fillmore, The Fratellis, TUBE. Magazine. Bookmark the permalink.